Durga Ashtami is one of the most auspicious days of 5 days long Durga Puja Festival. 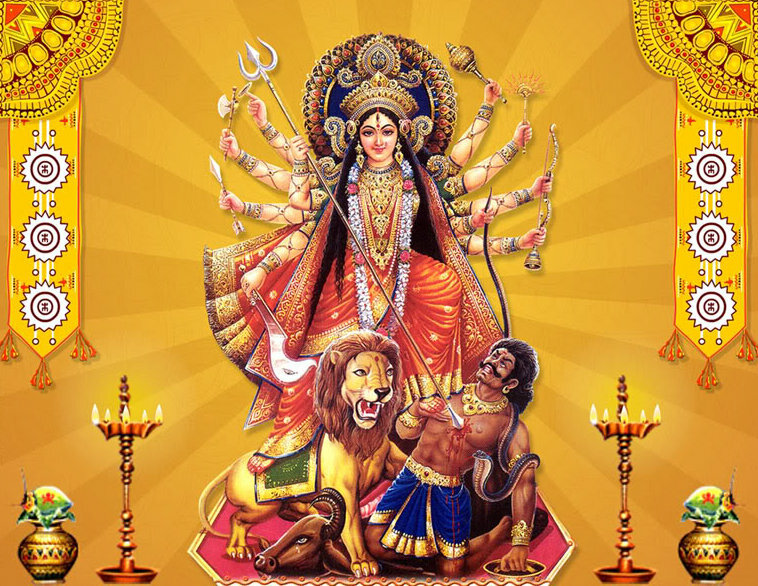 This day is also known as ‘Astra Puja’ (Worshipping Weapon)as on this day the weapons of goddess Durga are worshipped. The day is also known as Vira Ashtmi as there are seen to use arms or martial arts on this day.